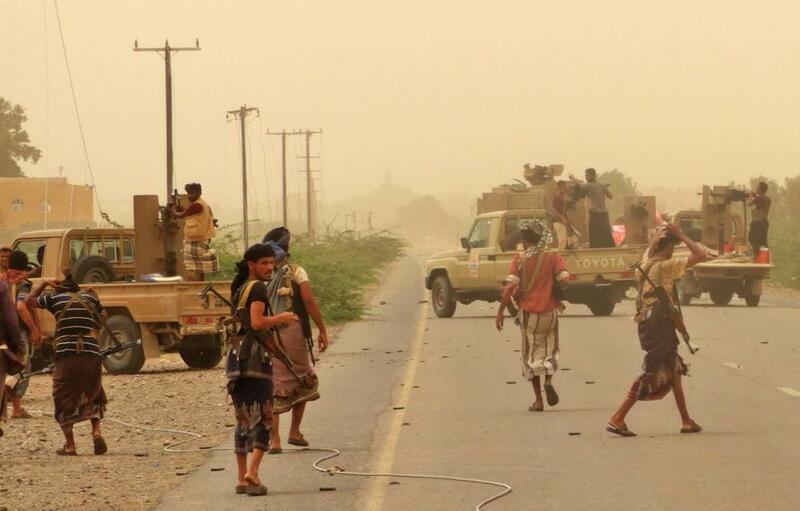 The prospect for peace - or at least a lasting ceasefire - is advancing rapidly following a surprise weekend proposal by Yemen's Houghis to halt all attacks on Saudi coalition forces. On Sunday the head of Yemen's Iran-backed Houthi Supreme Revolutionary Committee Mohammed Ali al-Houthi, said "We are willing to freeze and stop military operations" — something which now appears to have taken effect, according to a breaking Reuters report. “We announce our initiative...to halt missile and drone strikes on the countries of aggression,” an official Houthi statement reads. Crucially, it appears this halt in fighting was precipitated by a Saudi agreement to the Houthi extension of an olive branch as according to the AFP Yemen's internationally recognized Saudi-backed government says it has informed UN envoy Martin Griffiths it is ready to take part in proposed peace talks with Houthi rebels to be held in Sweden. "The [Saudi-backed Yemen] government has informed the UN envoy to Yemen ... that it will send a government delegation to the talks with the aim of reaching a political solution," Yemen's pro-Saudi foreign ministry said, quoted by the official Saba news agency. The development is of monumental importance and has broader geopolitical implications as crown prince MbS remains under international scrutiny following the early October killing of journalist Jamal Khashoggi. Following the murder at the hands of Saudi operatives the plight of millions of suffering Yemeni civilians under Saudi coalition bombs suddenly found its way into the media spotlight after the mainstream had long ignored the conflict, partly due to the fact that the United States and Western allies have played a lead role in the devastating bombing campaign. On Monday Saudi King Salman told his country's top advisory body, the Shura Council: "our support for Yemen was not an option but a duty... to help the Yemeni people confront the Iran-backed militias" — choosing to frame the ceasefire as if Riyadh has been on the side of "the people" the whole time. The King agreed there should be a "political solution" and a "comprehensive national dialogue" in Yemen, according to Reuters. UN envoy Griffiths is expected to be in the Yemeni capital of Sanaa this week seeking to finalize preparations for peace talks in Sweden, though a date for the negotiations has yet to be set. The broader picture is that the Saudis appear to be bowing to U.S. pressures over reducing the Saudi coalition's actions and atrocities in Yemen as media and western public outrage builds in the wake of the Khashoggi killing.